High glycemic index foods – why to avoid them? What are the high glycemic index foods? Why to avoid them? What alternatives should I follow instead? Find the answers in this page. First of all, please do understand that high glycemic index foods are those kind of foods with a glycemic index higher than 70. A glycemic index is like a measurement of the amount of sugar the foods contain. Actually these foods are digested rapidly by your body, causing a quick raise of your blood sugar levels. This is very useful especially in cases of hypoglycemia (low blood sugar levels), a situation which occurs randomly in diabetics. So, if your blood sugar levels are raised quickly, your pancreas (beta cells which secrete insulin) will take this as a signal and will secrete more insulin. After few hours, your blood insulin levels will be increased causing your blood sugar levels to lower sharply leading to hypoglycemia. That's why, if you are a diabetic you should avoid or at least limit high glycemic index foods consumption and look for low glycemic index foods instead. They can raise your blood sugar steadily over time and also they will decrease the demand for insulin on the pancreas (beta-cells). 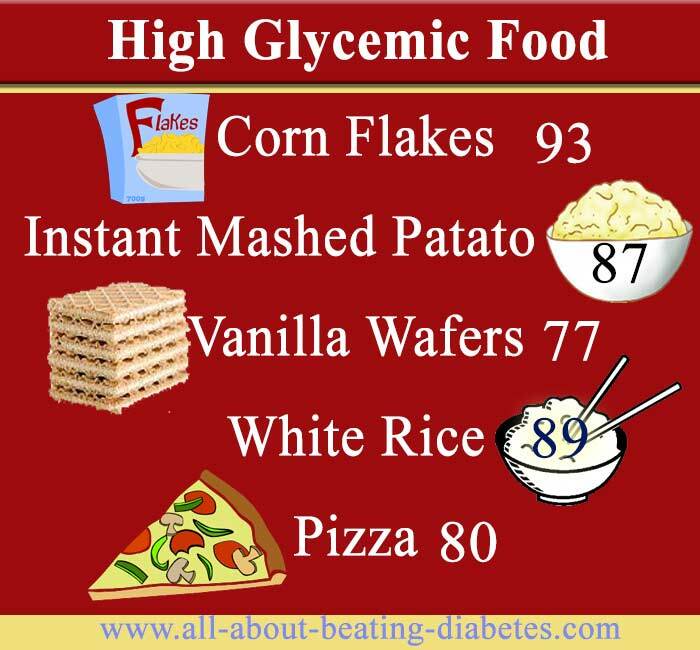 Other foods with high glycemic index include those rich in white refined sugar or/and white flour. Your physician will advise you to avoid anything which is white, including sweets, cakes prepared with white sugar (refined), pasta or/and breads prepared with white bread. Rice: Rice is consumed all over the world and by itself is meal because it contains essential nutrients. Unfortunately, enriched rice has a high glucose level and regarded as high glycemic foods. Since it is processed, there is nothing left that is essential, except probably the starch contents. Rice alone (not refined rice,) is good without being combined with fats like butter or cheese. With either tomatoes or onions, it can be a very appealing and good meal for the whole family. Finding non-refined rice in the restaurants could be difficult due to its gray-maroon color. Pasta: Refined pasta can be considered "bad sugar", especially if produced with refined flour to which fat is added: butter, eggs, cheeses, oils etc. The richer the pasta, the more it classifies as a glucose-fat combined meal, which goes against principles of sugar regulation. It might be very hard to eliminate pasta from your diet, especially if it is fresh and well prepared. But you can do away with this meal especially if you are facing some health problems. 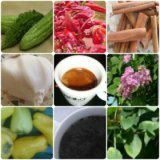 The effects of high glycemic foods on diabetes patients cannot be over emphasized that is, your kidneys will suffer because their activity is altered. For this purpose, most of the diabetics (who do not know they have diabetes) seek doctor's help. Other symptom which might occur is the presence of blood in the urine. Or other severe cases, diabetics most often faint or/and will present in a state of diabetic coma or death in the worst of cases. In general, high glycemic foods can be assistance during exercise in managing sugar level. If blood sugar tends to drop during exercise, or initially low, the high GI foods can lift levels back to the range quickly.